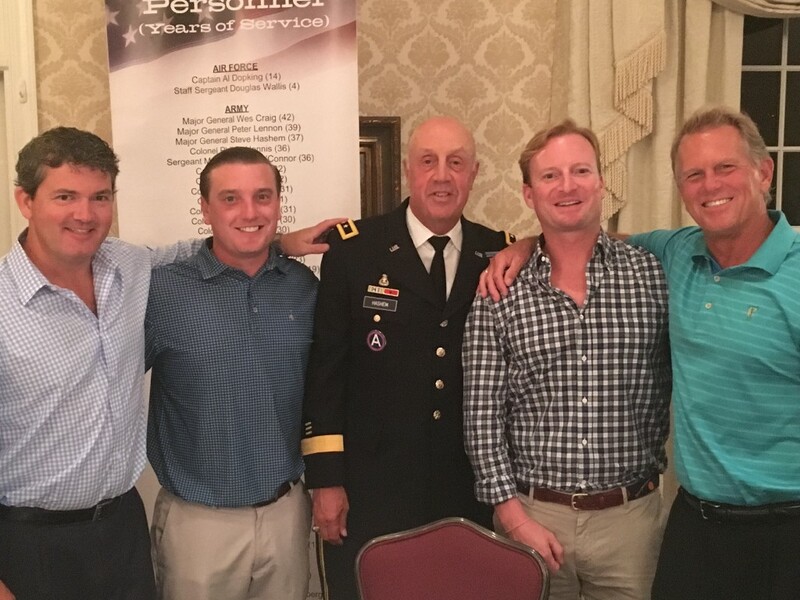 Retired U.S. Army Major General Steve Hashem and Todd Sherman co-sponsored the Inaugural Patriot Invitational Golf Tournament that was held at Laurel Creek Country Club in Moorestown on August 1. This invitation-only outing and dinner benefited two non-profit organizations: the Special Operations Warrior Foundation, that offers support and assistance for fallen warrior families to include full tuition, room and board college scholarships and tutoring and the Quantum Leap Farm, which provides equine-assisted therapies to military service members and their families. The vision was to make this annual golf invitational the premier charity event of its kind in the Delaware Valley Region. The tournament was able to raise $70,000 in total for both organizations. Several generals, a vice admiral, several special operation forces veterans and other active duty servicemen and women attended the event. Of the veterans in attendance was CSM Brendan O’Connor, a Moorestown resident who was recently awarded the Distinguished Service Cross for valor for his heroic actions in Afghanistan. Please contact General Hashem at sjhashem74@gmail.com for more information on next year’s tournament.